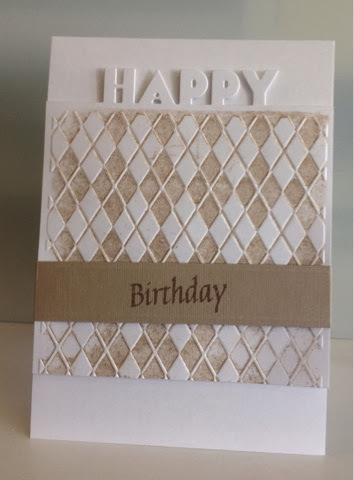 Here is a card I'd like to share with you, that I made a while ago. I liked it so much I had to have a go. I had to alter the mechanism slightly to make it fit the camera I used in my card. 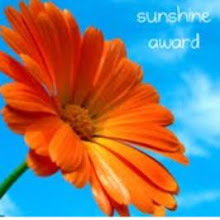 I have three cards to share with you today. 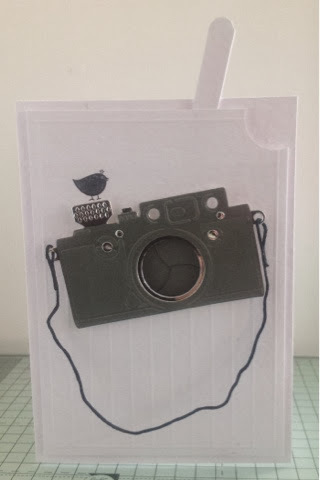 I am sooooo excited with this new die I have had in the shop from Die-Versions " Express Edges"
I just love what can be done with this very versatile die. The first card I made was the Christmas card . 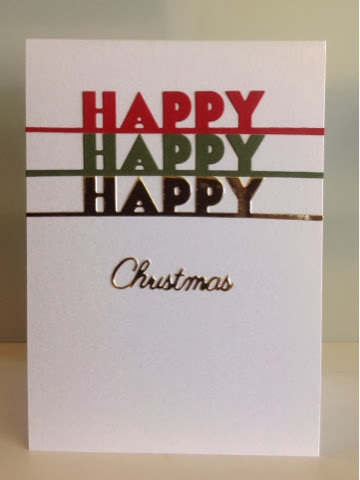 Very simply, I cut 3 happies one red, one green and one gold. 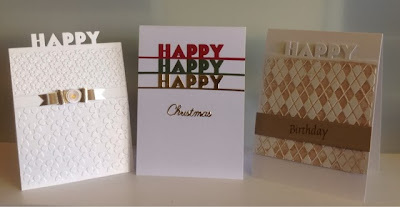 Glued them to the front of my card, cut out a Christmas with a Cheery Lynn Designs die. And that's it.... Done. So quick and so simple. I love it. The next card almost as simple. 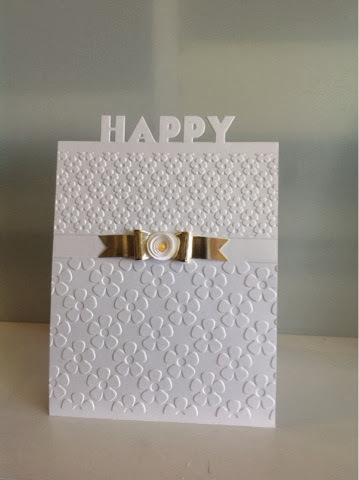 For this card I cut the card front then embossed it with the HAPPY sticking out through the gap in the top of the embossing folder from crafters companion. Made a faux bow with gold mirri card and finished it off with a rolled rose. For this I have used it as my card topper. I cut the HAPPY . Then inked up the Argyle embossing folder from Darice and embossed the card below the happy. 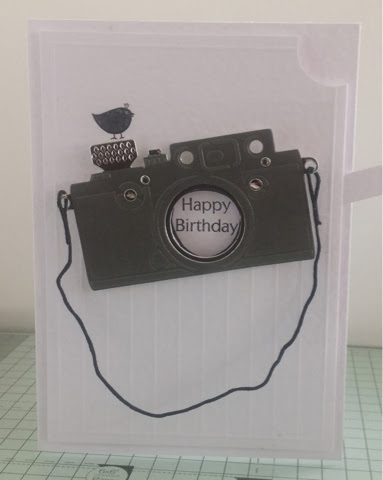 Cut a strip of craft card stamped birthday and wrapped it around the topper and fixed to the front of my card with 3D foam pads. Well that's all for this post. Thank you for stopping by, I hope you like the cards.